Follow this super juice plan and you could lose 3lbs! Why not try giving your weight loss a boost this summer & burn fat faster with this super quick super-juice diet! Juicing your favourite fruits, vegetables and salad ingredients is the quickest and possibly one of the easiest ways to get your five a day this summer. Every slurp provides your body with easy-to digest- ‘live’ nutrients that feed every cell with the vitamins and minerals needed for you to stay fit and healthy and to boost energy levels. 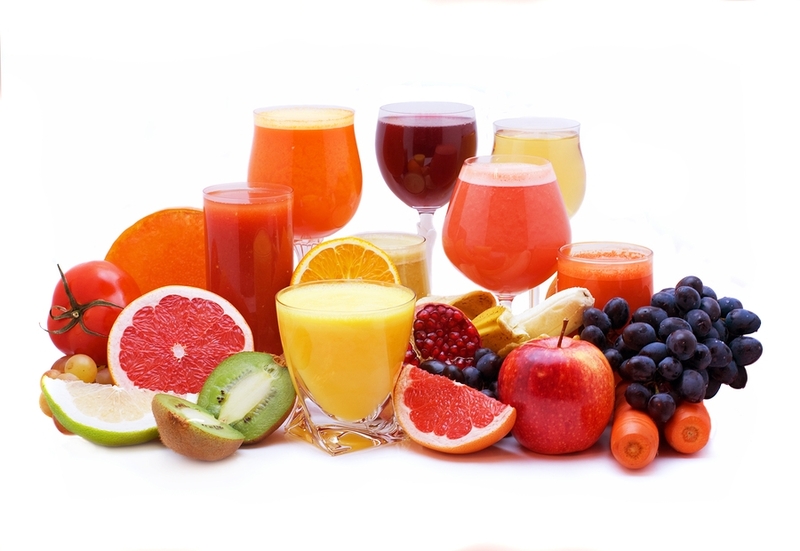 Drinking at least one juice a day will also ensure you get enough water – essential for fresher, younger looking skin. And as the average juice contains around 200 calories, which your body burns faster (it’s in a form that’s easy to break down and helps prevent bloating) you’ll notice the slimming effects of the plan in days. Replace a meal a day with a healthy juice and have a juice on the go when you need an extra boost. Follow the plan for three days and you could lose 3 lbs. Rise and shine breakfast- Red pepper and orange blast: Whizz together 2 carrots (topped and tailed), ½ red pepper, 2 clementine’s. Leaner lunch- 1 wholemeal wrap filled with shredded lettuce tomato and red onion slices, 30g cooked chicken 1 teaspoon salsa. Super skinny supper- Mediterranean cod: Bake 1 medium cod fillet with a can of chopped tomatoes, garlic, herbs and 1 chopped green pepper for 20 minutes. Serve with 30g dry weight brown rice. Juice on the go– Totally tropical: Whizz 1 kiwi, orange, ½ mango, a few raspberries. Add fizzy water. Rise and shine breakfast– 1 free-range egg, poached, 1 slice wholemeal toast, 3 grilled mushrooms, and handful of grapes. Super skinny supper– 1 chicken fillet brushed with 1 tablespoon green pesto, 30g dry weight whole-wheat spaghetti, 3 tablespoons of broccoli and sweetcorn. Juice on the go– Melon magic: whizz up ½ ripe honeydew melon, small bunch seedless grapes, handful strawberries, 3-4 mint leaves. Leaner lunch– Crunchy Greek tuna salad: Toss together ½ crunchy lettuce shredded with green pepper, cucumber and tomato slices, 30g crumbled feta cheese and 1 small can no-drain tuna. Drizzle with 1 teaspoon oil-free dressing. Serve with 1 wholemeal pitta. Super skinny super– Juice 4 broccoli florets, 2 spring onions, ½ small cucumber, 3 tomatoes, handful parsley and the juice of 1 lime. Juice on the go– Strawberry surprise: Whizz together 1 banana, 6 strawberries, 1 orange, 1 teaspoon vanilla essence, handful ice. Do you have any more delicious juice recipes you would like to share with us?